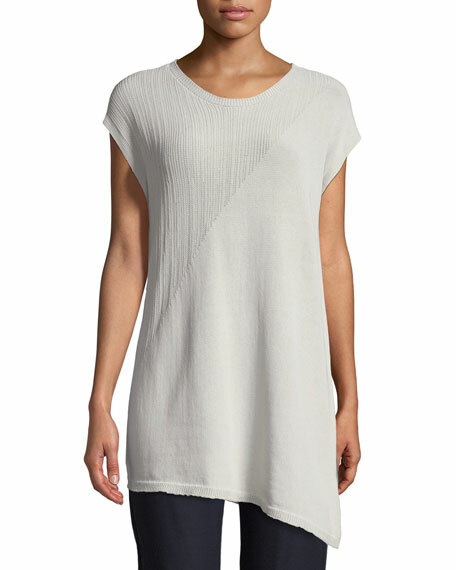 Eileen Fisher tunic in fine and corded knit. 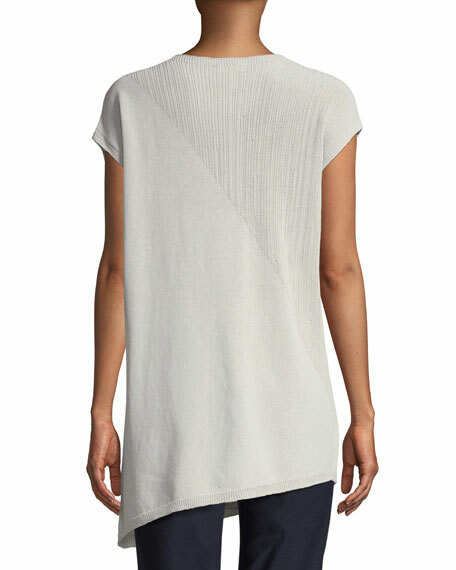 Asymmetric hem falls to thigh. 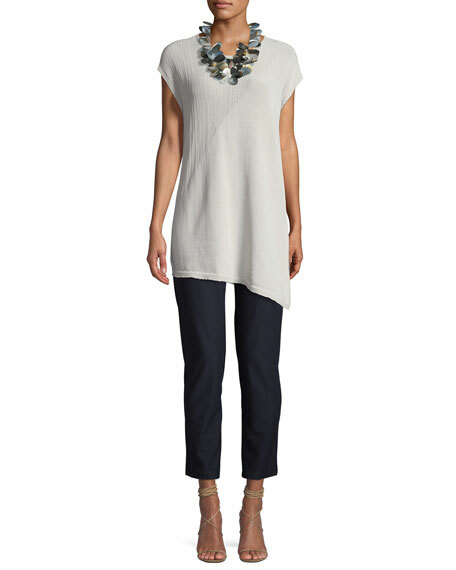 For in-store inquiries, use sku #2479463.